A fine tribute that could have been more. 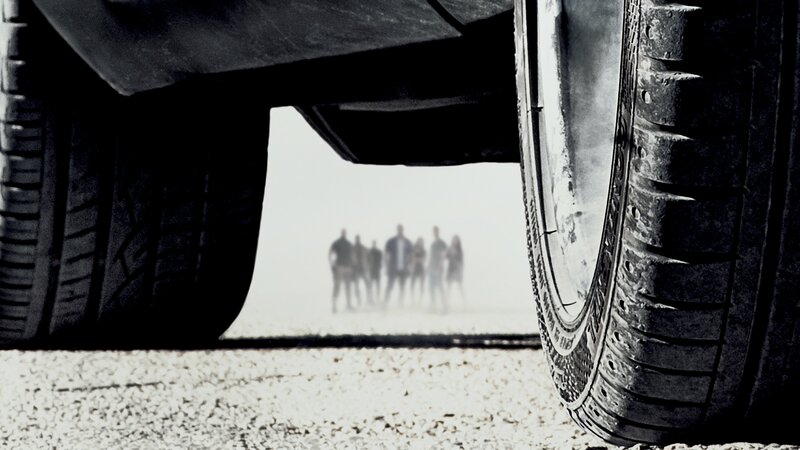 A jaw-dropping fun ride that eschews deeper meaning for fan service, Fast and Furious 7 is great entertainment. If the filmmakers wanted to tie the memorial for Paul Walker into the story’s thematics they could have played up Letty’s inability to remember anything before her accident. Tie the real world events to her Issues of Evidence (flashbacks) and a deep personal Concern of Memory (suppressed memories). Use the reality of tragic events as a trigger point for deep character justification, an emotional burial intended to hide the pain. They could even connect her (and our) deep-seeded longing for what was (Main Character Personal Problem of Desire) with the Overall Story’s clear Problem of revenge (Overall Story Problem of Desire). Have Leticia struggle throughout to complete the various missions and fail along the way. Only when she is finally able to engage her skills do they eventually defeat Shaw and the other baddies (Main Character and Overall Solution of Ability). It would require reshoots with Toretto (Vin Diesel) and Letty (Michele Rodriguez) and perhaps 10-15 minutes of additional screen time, but at least there would be a Relationship Story Throughline—something completely nonexistent with the finished film. All we have now in the way of heart are several references to the word “family”—yet no attempt to work in the concept of family. Have Leticia struggle with how to fit into the family as she struggles with a deep personal loss (Relationship Story Concern of Conceptualizing) and suddenly you have a deep and very powerful work. By taking this approach, the filmmakers could have really said something about how to overcome the loss of someone near and dear to you. Adding this meaning to a narrative elevates it to the status of a true story, instead of subjugating it to the status of a simple Tale. Tales are easily forgotten, an unfortunate reality when seen in this context. But these suggestions and improvements are shoulda-coulda-woulda’s. Even without these changes, Furious 7 does a stand-up job of paying tribute to Walker, offering us a chance to enjoy the ride with him one last time.